When you get to a point where people are arguing for Grinder Golem to get banned, you begin to wonder where things began to go wrong. Hello Pojo Readers, Crunch$G here, and today I wish to talk about the talk of the community over these last few weeks, Grinder Golem. You know, that guy that people really only ever used for Remove Brainwashing and Inferno Tempest decks? Yeah, people wish that thing was banned there is a reason why, Links. Links are the most generic summoning mechanic to date, where the most generic of them only require monsters of any sort, and with these generic conditions, tokens have gained more value in the game. Don’t believe me? 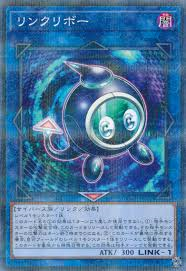 Some people were playing Scapegoat just to abuse Linkuriboh in the OCG and Gofu is limited now for a reason. Now, as for Grinder Golem, we got some abuse here that Scapegoat and Gofu could only dream of, and here I will give you two combos to show why, and then discuss more about this card. I am sure most to all of you know about the Link rules, so I won’t explain what you should already know thanks to the rules. Use Grinder Golem to summon the two Tokens to your field and Grinder Golem to your opponent’s field to a zone below either Extra Monster Zone. Use one Token to link summon either Linkuriboh or Link Spider. 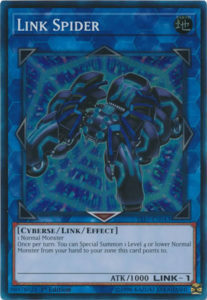 Use the Linkuriboh and/or Link Spider to summon Akashic Magician to the column you summoned Grinder Golem in. Akashic will then add the Grinder Golem back to your hand. See Step 1 (though you can summon Grinder Golem to a different zone at this point). Use the two Tokens to summon Security Dragon. 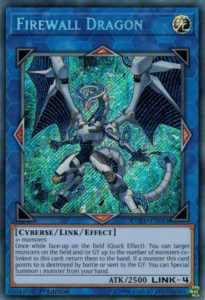 Use Security Dragon’s effect since it is co-linked to Akashic Magician to add the Grinder Golem back to your hand. See Step 1 (preferably you summon the Grinder Golem to the column you plan to summon the Link Monster in the final step in. Use a Linkuriboh in the graveyard to tribute a token and revive himself. 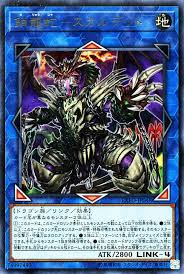 Use the Linkuriboh, Token, Akashic Magician, and Security Dragon to link into Skulldeat, the Chained Dracoserpent. Ah, you can just see the degenerate crap, can’t you? Let me go more in-depth about this first combo. 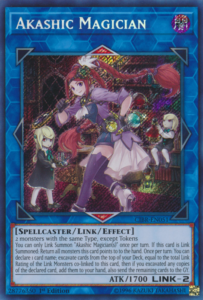 First off, you went into Link Spider and/or Linkuriboh to get into Akashic Magician only because she cannot be summoned with Tokens. The Akashic th en got you the Grinder Golem back to do more link plays, which we did by going into Security Dragon. At this point, you could use Akashic Magician to try and get lucky to get a card you want, but it isn’t really mandatory in my eyes, though most likely preferable. For those that don’t know what Security Dragon does, you can bounce a card on the field to the hand, I think it is only on the opponent’s side but it doesn’t matter here. Security Dragon got you back your Golem to use again. You should of summoned Linkuriboh so you can revive it to summon the final Link Monster, Skulldeat, the Chained Dracoser pent, which lets you Draw 4 cards and put 3 back if you summoned it using 4 monsters with different names, which is why we did use two Link-2s with other monsters instead of just them. At that point, you should have 5 cards in the hand and Skulldeat on the field. 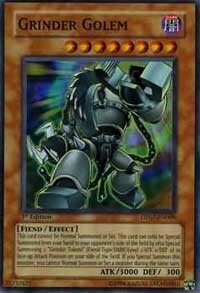 This is not the preferable combo for some decks, since Grinder Golem shuts down your Normal Summon, but other decks that are fine without it can use this combo, especially since Skulldeat can summon a monster from your hand if you used 3 monsters with different names, which the combo used 4, so that effect is live. Now, if you think that combo was bonkers, there is another one that lets you abuse a fan favorite card, Firewall Dragon. No one has done this before, have they? HA! See Steps 1-8 in the first combo, I won’t put you all through that again. Use Firewall Dragon to add the Grinder Golem to your hand. Use the Grinder Golem again, you should know what it does at this point. Yeah, one card should not be able to do all of this. Grinder Golem was far from an issue in 2007. Inferno Tempest and Remove Brainwashing decks were fun, but Grinder Golem’s use has far surpassed that and it is becoming an issue. You can argue that this isn’t much of a problem yet, though. 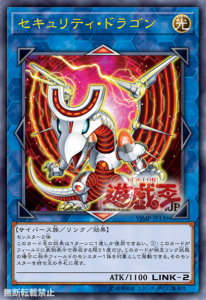 Skulldeat is released in Extreme Force and we don’t know when Security Dragon is coming to the TCG. With that in mind, it would probably be nice for players if Grinder Golem was Forbidden before these cards even hit the TCG.